Fossil Pokémon have been around since the beginning of pokémon, and I mean that quite literally. They represent the oldest species of pokémon as well as showing up in the first pokémon games. However, a major aspect of fossil pokémon is that their fossil has to be recovered and given to an appropriate scientist to resurrect. During the early 90's, bringing fossils back to life was fresh on people's minds as Jurassic Park came to theaters in 1993. Jurassic Park brings up a few good points as to why one should, or should not, bring extinct animals back to life. Of course, in pokémon a 10 year old child is saddled with that decision, and I doubt very few trainers would be opposed to it given the opportunity. Obviously, in the real world we haven't ever been able to successfully get DNA from a fossil. That's not to say people aren't trying. It doesn't seem this is the most viable method for bringing back dinosaurs, with other scientists using different methods. So, even though we haven't been able to match the success seen in the Pokémon World, obviously the idea of bringing back long extinct animals isn't too far out in science fiction. That being said, like in my previous pokémon science blog, we know the Pokémon World is way more technologically advanced. revenge upon the mortals of your world!" So what are the effects of bringing an extinct animal back to life? From the pokémon perspective, there seems to be some effect of the fossilization process that seems to have affected the DNA of the ancient pokémon. All fossil pokémon are at least part Rock type. From a diversity standpoint, that doesn't seem to make sense. Why would all pokémon diversity in the past be so similar when in the present day there are many other type combinations? Most likely this rock aspect is a result of inorganic materials still being present in the living pokémon after resurrection. When a bone is fossilized, minerals from the surrounding sediment leech in to replace the rotting biological components. 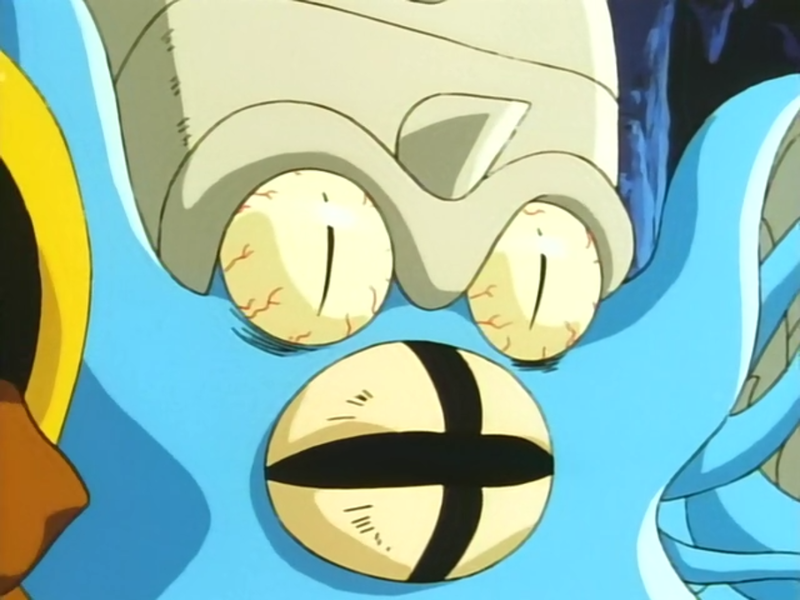 That means all fossil pokémon are at least part Rock do to the sediment replacing the organic aspects of their bones. Although, animals with shells (ex: Omanyte and Omastar) already have inorganic material in their shells, a mineral known as calcite, and potentially were always part Rock. Science is always progressing, so of course at one point scientists decided to push the envelope... and that envelope was Genesect. Often people forget this, but Genesect is actually a fossil pokémon. Unlike the other fossils, Genesect was resurrected by someone else and given to you, so there is no fossil to retrieve. However, Genesect is the Paleozoic pokémon. The Paleozoic era lasted from roughly 542 - 251 million years ago, so it's safe to say that Genesect is pretty old. However, its sleek technological appearance does often mask that fact. The Genesect we're familiar with is NOT how Genesect looked originally. so I blasted her with my cannon." 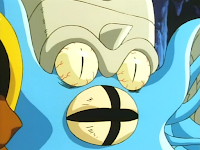 Just like how Mewtwo is a modified clone of Mew, Genesect was modified from its resurrected form. This is evident in its typing: Bug/Steel. Steel is produced by modifying iron ore found in rocks. 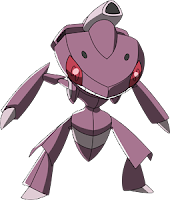 Most likely the original Genesect was Bug/Rock, but the modifications made to its carapace by Team Plasma changed it enough that it lost its Rock characteristics and gained Steel characteristics. This sort of type change is commonly seen with pokémon that evolve using a man-made object. The closest comparison is how Onix is Rock/Ground, but becomes Steel/Ground as a Steelix when it's traded with a Metal Coat. When Team Plasma attached Genesect's cannon to its back, it likely changed the pokémon's biology as well. Genesect also represents a prime example of what bringing back an organism that no longer has a role in the environment will be like. In Genesect and the Legend Awakened, the Genesect are attempting to return to a habitat that no longer exists. Because they are unable to do so, they attempt to make a new habitat for themselves by displacing the pokémon already inhabiting the area. This makes Genesect a human produced invasive species. In actuality, all of the fossil pokémon would pose the same risk as would any real world resurrected animals. Present day flora and fauna are not adapted to deal with organisms that haven't been around for millions of years and could potentially be driven to extinction themselves. There is the flip side argument as well, that fossil organisms are ill-equipped to live in present day environments due to differences in plant-life, atmospheric gases, and human pollution. In that scenario, we would be bringing back organisms just to put them in an environment in which they would suffer. Regardless, if fossil organisms were ever brought back to life in the real world, they would likely never be able to be released into a natural habitat. This could explain, at least in a biological way, why fossil pokémon have never been found in the wild at all in the pokémon games even though fossil rejuvenation has been around since the beginning. Even if you released rejuvenated fossil pokémon into a Safari Zone, they wouldn't be able to coexist well with modern species. So why do the scientists rejuvenate your fossils then give you the pokémon afterward? It seems like bringing them back to life is a bad idea. Well, the reasoning is simple. Fossil pokémon cannot survive in the wild without human interaction. Therefore, the scientists want to bring them back and observe how pokémon were different in the past. However, since they can't release the pokémon, it is better to give it to a trainer to take care of it. Although it's not the most responsible idea to give a 10 year old a T.rex, I can't say with full certainty that I wouldn't have accepted such a responsibility as a 10 year old. In fact, 10 year old me would have never even thought twice!